INTERNATIONAL REPORT—The Caribbean’s largest island is seeing its hospitality offerings grow with the entrance into the market of AccorHotels’ SO/ brand and MP Hotels. 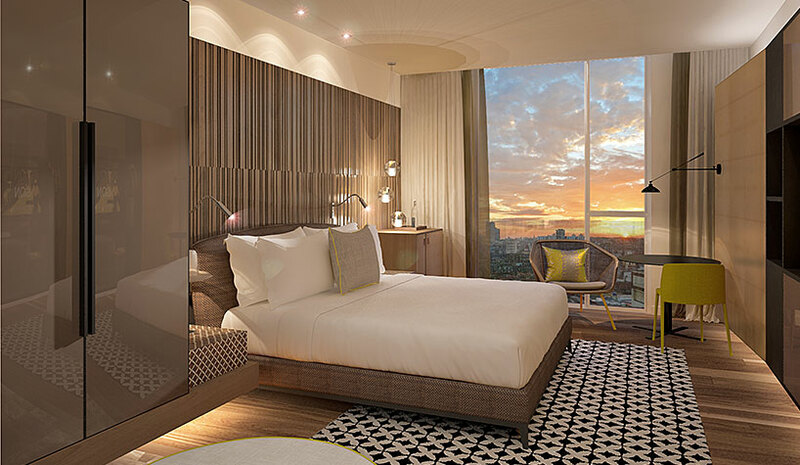 AccorHotels plans to further expand its presence and options for travelers in the Americas with the introduction of SO/ Havana Paseo del Prado, a new address set to open in early 2020 in Havana. As the first SO/ property in the Americas region, the hotel will showcase the brand’s “rebellious, immersive interpretation” on the luxury travel experience. The hotel will be located at the intersection of Paseo de Marti and Malecón. With design at the core of the SO/ brand, the hotel in Havana will unfold as a glamorous yet playful masterpiece, according to the company, featuring the creative signature of Spanish fashion designer Agatha Ruiz de la Prada—from the hotel’s emblem to the staff’s uniforms. With 10 stories above street level on a nearly 54,000-sq.-ft. parcel, the hotel will have 250 guestrooms, including 36 suites. Guestrooms will consist of stylish contemporary furnishings, neutral palettes, splashes of color, innovative technology and thoughtful designer amenities, according to the brand. The hotel will offer five food & beverage outlets, including a specialty restaurant and rooftop bar on the ninth floor, an exclusive chocolate café bar, a lobby lounge and bar, and an all-day signature dining restaurant. Additional hotel features will include three interior meeting rooms spanning approximately 2,100 sq. ft.; a 4,200-sq.-ft. SO/ SPA with six treatment rooms; a more than 1,600-sq.-ft. SO/ FIT fitness center; and a nearly 1,700-sq.-ft. swimming pool with an adjacent pool bar. The hotel will also feature additional signature elements of the SO/ lifestyle such as the Just Say SO service and SO Parties. In partnership with AccorHotels, SO/ Havana Paseo del Prado is part of Grupo de Turismo Gaviota, a Havana-based tourism and hospitality company with three decades of experience in the industry with over 85 hotels, representing more than 30,400 rooms throughout Cuba. MP Hotels has added two hotels in Cuba. The company now operates in 10 countries and four continents. In 2014, Meeting Point International made its first investment in Cuba with the founding of Meeting Point Cuba. Located in between the white sands and palm trees of Varadero, Cuba, the all-inclusive, 443-room Varadero resort has exclusive beaches and on-site live entertainment. The larger Labranda Cayo Santa Maria Resort has 800 rooms and suites. Guests can indulge in their choice of several culinary experiences, water activities and island-hopping excursions from around the area.